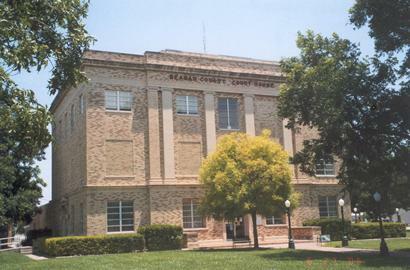 Reagan County Courthouse, Big Lake, West Texas. The sidewalk leading to the main entrance is lighted by a row of lamps providing an beautiful night view of the building. 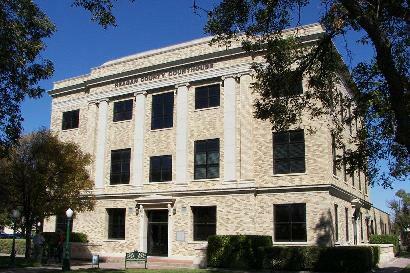 The county seat moved from Stiles to Big Lake in 1925. 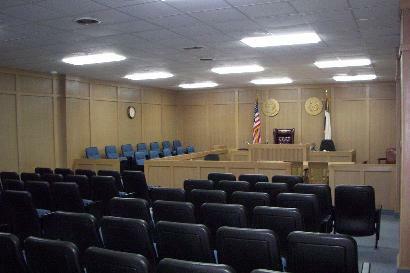 "The courthouse's cornerstone isn't on the corner." 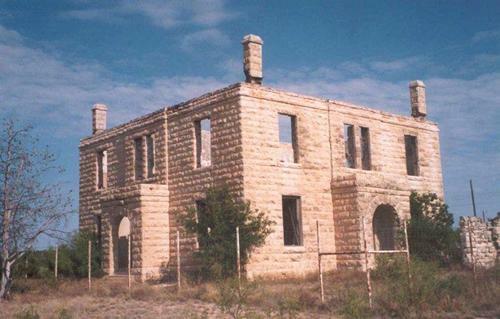 A 1911 Courthouse is still standing in the former town of Stiles, although it was gutted by fire in a case of arson, Christmas Eve, 1999. The shell remains. 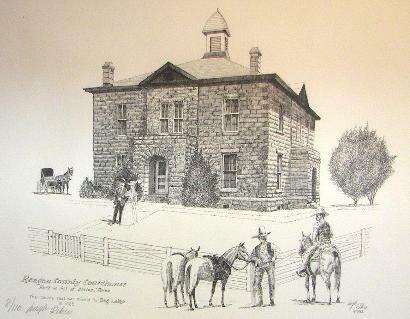 "A drawing by Hugh Riker of the 1911 Reagan County courthouse in Stiles as it looked originally. This drawing is hanging in the Chamber of Commerce building on Main Street." 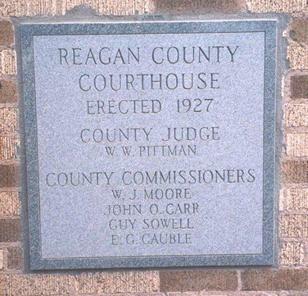 First Reagan County Courthouse Centennial Marker in Stiles, with 1911 old courthouse in sight. 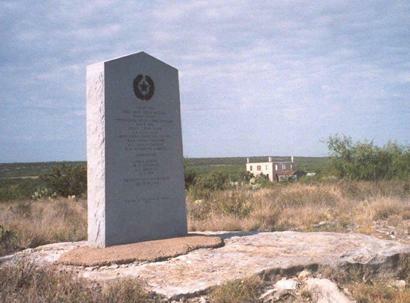 Site of the first court house built in Reagan County. 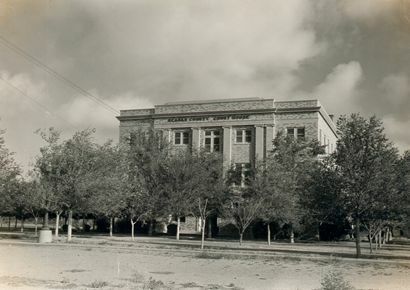 A. J. Kerchville, G. F. Kirk. 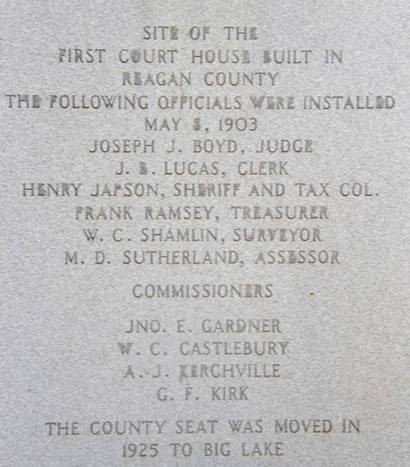 The county seat was moved in 1925 to Big Lake.